1. Go through all my blog posts this year and leave me a comment telling me which three projects are your favorites. 2. Become a follower (leave me a separate comment telling me this). 3. Subscribe to Scrappin' it (leave me a separate comment telling me this). Pearls – Queen & Co. I can't wait to see which projects you will choose! I am a follower:) Yippee! My Fav projects are - Canvas Clock ; Its the Little Things Album ; and Treasure Box! I subscribed to Scrappin It!! Now to pick out my three favs... :). Don't have time to do this right now but I want to wish you the happiest of New Year's and enjoy all! I'm a follower of your blog! Glad I found you and your art! I'v subscribe to scrappin it ! Whew! There was so MANY Amazing Beauties it was hard to choose.....so here are my most 3-FAVS..Your Artwork Rocks!! *Mom, I'm bored Layout with fabric flowers* is Outstanding! I Subscribe to Scrappin' it! My Top 3 picks are the clock canvas, Love Letters mini album & the Treasure Box. Just subscibed to Scrappin It! Love it! Thanks so much for letting us play! I posted on my fb page and tweeted too! I'm subscribed to the blog! 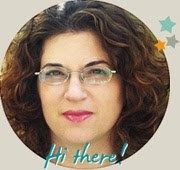 I am a subscribed to your blog!!!! I am sharing this on facebook. I shared on my facebook and with my scrapbooking friends group (Bea's Hive) on facebook. I am a follower, subscribed to your blog and shared with my facebook friends. You have a lot of beautiful projects - love them!!! i do love your projects. It's soooo hard to choose only 3!!! I love the Haggada - it's just awesome!!!!!!! and I love the Dear dad card - it's so unique! I already Subscribed via google reader! אני מאוד אוהבת את ההדרכות שלך לפרחים, ואהבתי את השעון המקסים שכתוב עליו dream, הוא יפיפה! My first Favorite is Cup of tea. My favorite post is the Growing Up mini album tutorial. I did it a few times, and it's so beautiful and easy! I am a follower!! enter me! I shared on my Facebook! enter me! I shared on twitter! enter me! I have subscribed via email! enter me! I am also following via networked blogs! enter me! 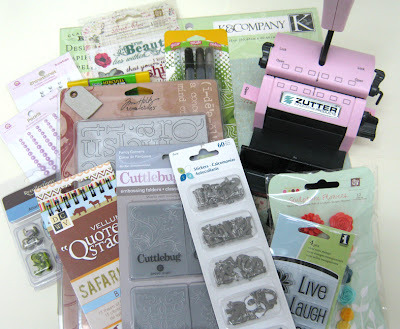 My three favorite projects / posts are: Clock Canvas Jul 25th, Ins(paper)ation Journal Mar 4, and Use Your Scraps Aug 15! I love canvas, altered and recycling! I'm always using my scrap bin, it SAVES me sometimes! LOL ENTER ME AGAIN! and spread the word on my FB. 2. Round and round we go. (and much much more beautiful projects). I am already a follower . I am already Subscribed to Scrappin' it. Thank you so much for all of your Great Posts through out the year & for the chance to win this mist Generous Giveaway!!! I'm already a Follower on Your Blog!! I'm already Subscribed to your posts by email!!! I also "Shared" this on my FB page!!! סעיפים 2-3, אני כבר ותיקה. And.. last comment - it's posted on my blog. Thanks for the chance to win this great candy. And for all the great tutorials! Thanks so much for the opportunity to win this wonderful blogcandy! I've shared on my FB page! LOve that Summer Canvas you posted in June! We have a cottage by a lake and that would be a fun project to make for the house. Also love the Mini Album - It's the little things. Such pretty papers and I love your embellies. THe Little Artist one from yesterday is a fave too. I can never seem to arrange my flowers to look like that! Thanks for a great contest. love your blog. my 3 favorites are: Clock Canvas, treasure box and Haggadah. I've subscribed to your blog too! I have subscribed to Scrappin'It ! Can't wait to get my first one! I am addicted to flowers and buttons!